#OOTD, Hat Loving and Glowing! I just love how a hat can totally change an outfit. Take this outfit for example, it was unusually hot today in the UK and I wanted something cool and comfortable to wear, without the hat this outfit looked a bit, well, frumpy for want of a better word.....add the hat though and suddenly it looks a lot cooler and 'put together'. I'm all for hats! this particular one I actually picked up whilst in France but it's just a basic Panama which is replicated in many high street stores around the world, in fact I'm pretty sure I've seen a similar one in H&M recently. White Denim Skirt - Topshop - years old, I think I bought this when I was about 25....I probably shouldn't be wearing it anymore!!! 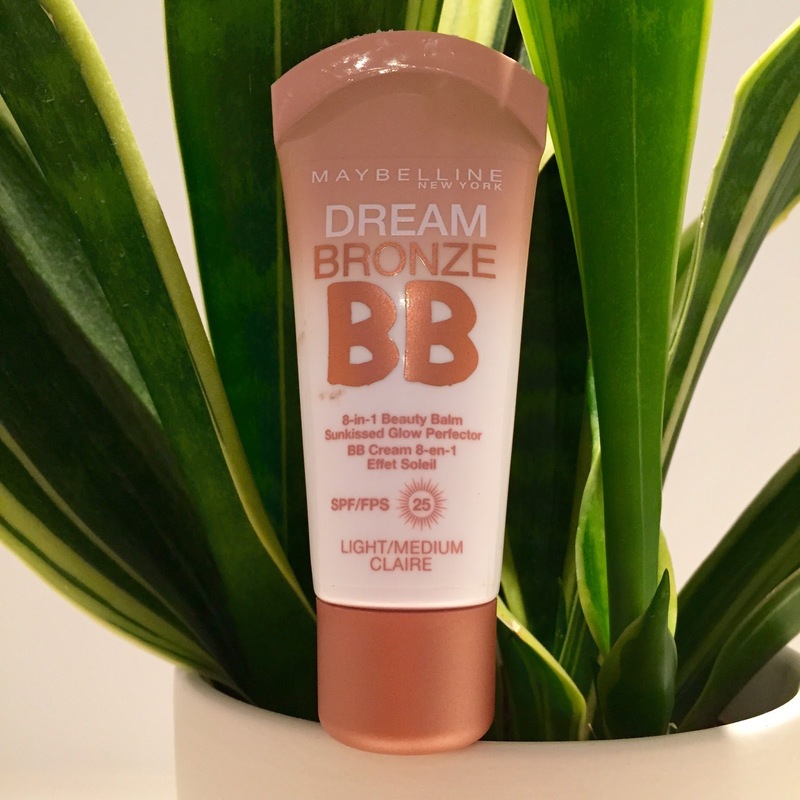 In other news, I have been really loving the Maybelline Dream Bronze BB Cream that I bought last week. I've been using it every morning under my make up instead of a moisturiser (it hydrates and contains SPF) and I'm really loving the effect it gives when worn under a foundation like Estee Lauder Double Wear (my other favourite at the moment!). It just makes everything just a little more radiant and dewy without compromising on the staying power of the foundation and I think it may also be improving the condition of my skin a tad too. Winner. So that's it for another weekend! Hope you all have a great start to your week :) I'm aiming to eat healthy breakfasts this week, so I'll be reporting back on how that goes soon! Oh my gosh I remember Tammy Girl! 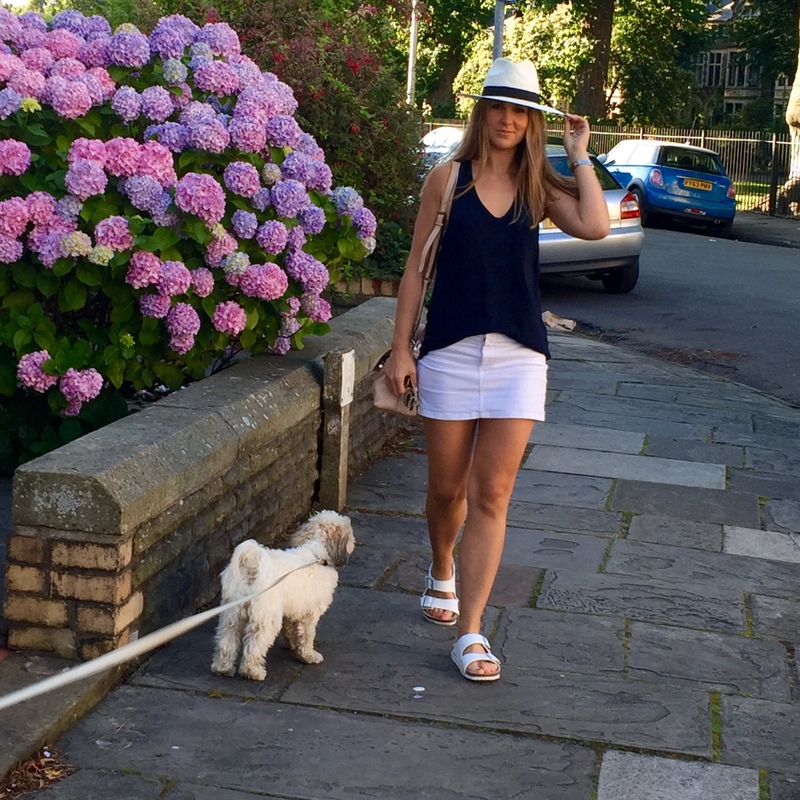 I agree about a hat elevating an outfit, navy and white is such a sophisticated colour combinations :) you can still rock a mini skirt! Btw where are your sunnies and watch from, I didn't see you mention it?